There is no hard telling recognizing Jon Stewart any time he takes up the stage as a stand-up comedian. Often times, he wears a hat and also knows how to pull the crowd into laughter with many of his numerous rib cracking tales. He rose to become a don in the entertainment world and has also proven his witty nature in the political world. Ever since Jon began his career, it has been from one blooming height to another. The article below contains every tiny detail there is to know about him. Often times, children who were once born into a family that has never been broken tend not to value what they have until they lose it all. 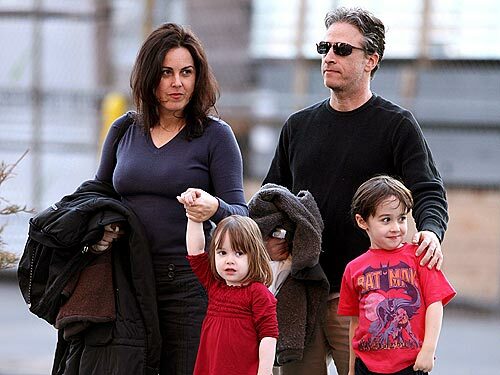 For Jon Stewart, he was born on November 28, 1962, to a family which once shared love together until few years down the lane when his father, Donald Leibowitz left his home what with his divorce with his mother, Marian Leibowitz, leaving Jon in a very devasted state. As a result of his parent’s separation, he dropped his last name and took up his middle name Stewart, however, he was originally named Jonathan Stewart Leibowitz. Donald, his father made ends meet as a professor at the Thomas Edison State College and the College of New Jersey while his mom, Marian first worked as a teacher before becoming an educational consultant. 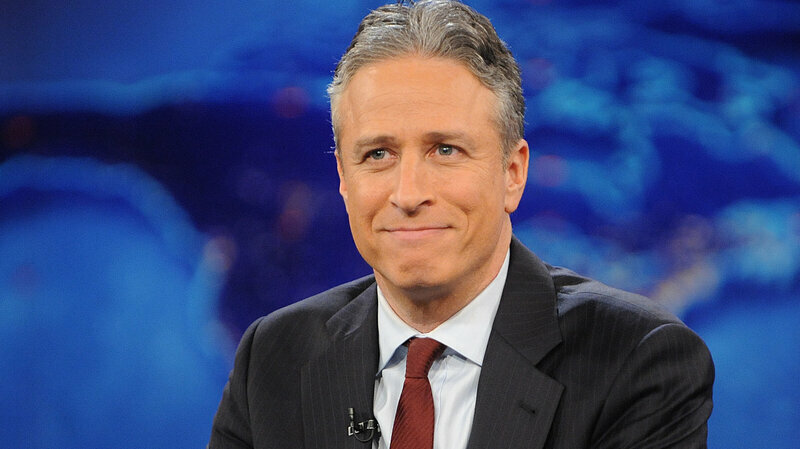 Jon Stewart is one of four male children born to his parents. He has an older brother named Lawrence and two younger ones named Dan and Mathew. The family lived at Lawrenceville in New Jersey. Jon Stewart went to Lawrence high school and later enrolled at the College of William & Mary in Virginia. Initially, he took courses on chemistry while at college but along the line decided to study psychology instead. While in school, he played soccer with the school team but never thought to take it up as a career despite being good at the game. Everything that Jon Stewart has attained today was inspired by the Vietnam War and the Watergate scandal. He took interest in those events and aspired to be one of the best writers and political figures the world has ever known. With that in mind, he took up his first job working with his older brother at Woolworth’s store but was later fired. Afterward, the American actor took up various jobs in order to gain more experience, he worked as a contingency planner for the New Jersey Department of Huan Service, an administrator for the City University of New York to mention a few. Prior to his days of being employed, Jon Stewart was noted as one of the funniest fellas during his school days. So, with that, he took up the stage at the Comedy Club Circuit and worked there for a while. He later made his first appearance as a comedian at The Bitter End. With time, he became grounded and skilled in his acts and became one of the top comedians at the Comedy Cellar. Not long after his fame skyrocketed, he landed his first television job as a writer for Caroline’s Comedy Hour, that same period, he started co-hosting Comedy Central’s Short Attention Span Theater. In all these, Jon Stewart was yet to make his major breakthrough, fortunately, in 1993 he hit it big as he made his first appearance on NBC’s Late Night with David Letterman. That same year, he started a self-titled comedy show on MTV which later topped as the second best comedy show ever as rated by MTV. Subsequently, the American comedian has hosted so many other comedy shows, went into writing, became a political commentator and also a television host. Tracy McShane; Jon Stewart’s wife is one lady who doesn’t like to show off on the camera despite her husband’s fame. The two met on a blind date arranged by their mutual friends, and ever since they met the romantic journey between them has been on the jolly side. Jon proposed to her four years after they met in a grand style. Being a man of words, he used a cross puzzle to declare his intentions and Yes! she agreed. They later walked down the aisle a year after. Their union is blessed with two children; a son, Nathan Thomas Stewart (born July 3, 2004) and daughter, Maggie born February 4, 2006. Tracy is no sit at home wife, she is an animal advocate and is also an author. Her books include Do Unto Animals: A Friendly Guide to How Animals Live and How We Can Make Their Lives Better. It is an obvious fact that Jon Stewart has worked so hard in order to attain such an incredible height in the entertainment industry. He has done a lot of notable things in the line of his career and has made an enormous fortune from all his numerous endeavors. The actor is estimated to be worth $80 million.